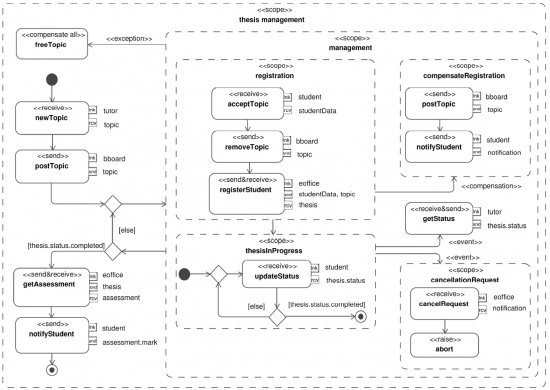 UML4SOA is a profile for specifying behavioural aspects of services. In particular, we focus on Service Orchestrations, i.e. 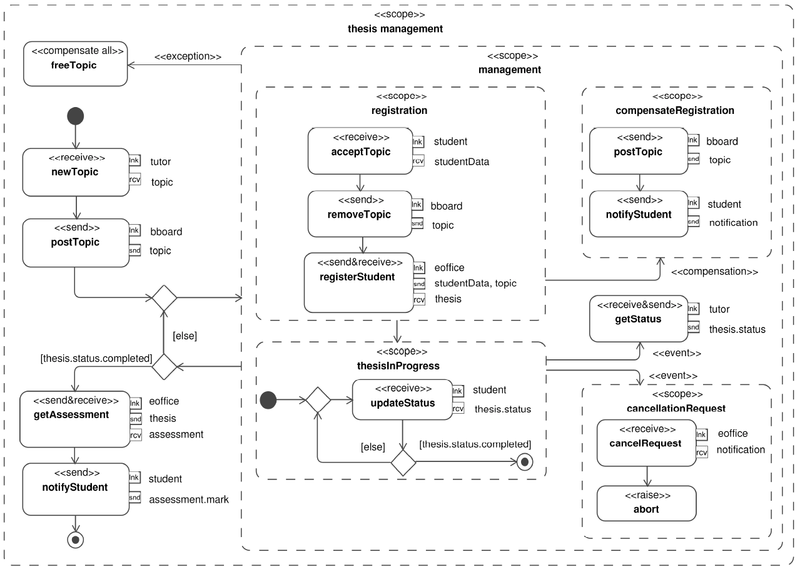 compositions of services, by means of an orchestration workflow. An orchestration, in turn, is another service to be used externally, or in other orchestrations. The UML4SOA profile is described in the Profile Specification, a PDF document with detailed information about the meta model and stereotypes of UML4SOA. to select the .xml file. and creating a new diagram. You’ll find a palette with the UML4SOA stereotypes at your disposal. File > Export To... > EMF UML2 (v2.x) XMI File. UML4SOA, a profile for specifying service behaviour in UML, is complemented by MDD4SOA, our transformers for converting UML4SOA diagrams to BPEL/WSDL and Java.